How do you motivate others to produce their best work? For generations, leaders have received conflicting advice. But now, thanks to groundbreaking new research, we have clear, data-driven insights into the factors that generate employee engagement and sustain performance over the long term. In this compelling and persuasive presentation, you’ll learn the surprising truth about what motivates excellence (hint: it’s not money or titles), and discover concrete steps you can immediately apply to elevate your team’s performance. º How to make any job feel more meaningful. º The one workplace reward that feels better than a raise. º Why many of the practices leaders have been taught to boost motivation—including glowing performance reviews, employee-of-the-month awards, and annual bonuses—can actually reduce employee engagement. º What the best jobs have in common with a video game. º How you can use evidence-based techniques for elevating your team’s motivation, helping you become a more effective leader. We all want to work smarter, not harder. But how do you do it? 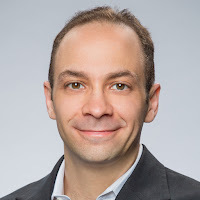 This talk offers practical, research-based strategies for maximizing your performance, based on Dr. Friedman’s popular series of articles for the Harvard Business Review. For years, we’ve been taught that being productive is a matter of effort. We’ve been led to believe that if only we arrived at the office each morning motivated to produce great work, we’d eventually succeed. But the research tells us something different. Studies now indicate that effort is only part of the equation. More important are the practices we use to manage our time and energy throughout the workday. In this insightful talk, Dr. Friedman outlines proven techniques for being more effective at your job, no matter what you do. You’ll learn how to think strategically about your calendar, how to generate creative solutions when you’re feeling stuck, and how to get the most out of every single hour of your day. In the past, maintaining a successful business meant increasing productivity and eliminating waste. But today, the world is different. For any company to thrive it needs more than an efficient process—it needs a steady stream of creative ideas to drive innovation and stimulate growth. What can leaders do to spark out-of-the-box solutions? As it turns out, quite a bit. We’re led to believe that creativity is fixed—that people either have it or they don’t. But as you’ll discover in this talk, this assumption is false. There are practical, evidence-based steps that any company can use to foster workplace creativity. º What the behaviors of creative geniuses like Shakespeare, Mozart and Picasso have in common with the world’s most innovative companies. º How your office layout can promote or stifle your creative thinking. º How strategically building diversion into your day can lead you to more creative insights. º Why successful teams often make more mistakes. º How you and your team can implement a creativity diet. Ron Friedman, Ph.D., is an award-winning social psychologist who specializes in human motivation. 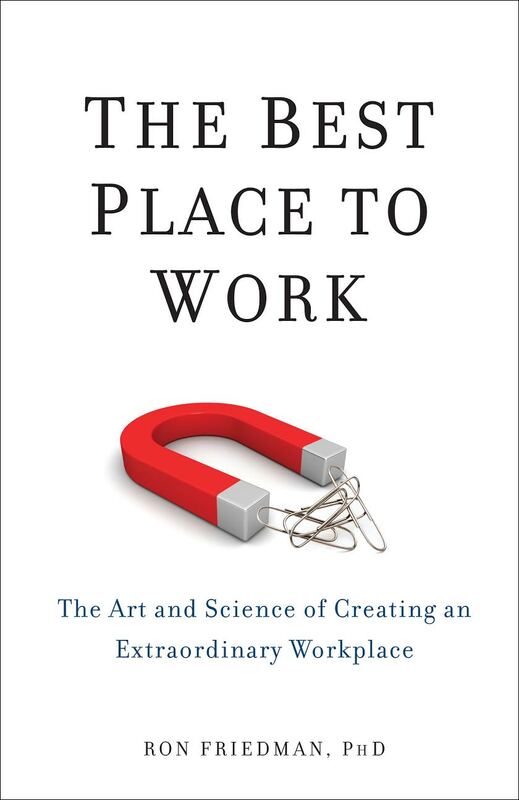 His new book, The Best Place to Work: The Art and Science of Creating an Extraordinary Workplace, has been described as “stunning,” “eye-opening,” and “a contemporary classic,” and praised by best-selling authors Daniel Pink, David Allen, Marshall Goldsmith, Susan Cain, and Adam Grant.